In 1963, the United States and the Soviet Union signed the Nuclear Test Ban Treaty, improving relations in the Cold War. In order to monitor the provisions of this treaty, the United States launched a constellation of satellites known as the Vela satellites. Even though the Earth’s atmosphere absorbs the gamma-rays produced by a nuclear explosion, an abundance of caution led them to add gamma-ray detectors to four of the Vela satellites anyway. They never detected any test ban violations, but they did discover something very odd: bright flashes of gamma-rays which looked nothing like nuclear detonation. The bursts lasted for minutes whereas a nuclear detonation would only last a few milliseconds, they also had multiple bright flashes of gamma-radiation where as you would only expect a single flash from a nuclear detonation. Even weirder, these events were observed simultaneously by satellites on opposite sides of the Earth, something that would only be possible if they were coming from deep space. Since they were observed with military satellites, the so-called gamma-ray bursts (GRBs) were kept secret. After seven years, the scientists who observed them were able to convince the military that they weren’t coming from Earth, but from deep space. In order to further understand them, NASA started installing gamma-ray detectors on many of the new deep space satellites that they were launching. With this network of detectors in place, scientists were able to pinpoint which direction the bursts came from, but they didn’t appear to be associated with any astronomical object that could be seen with optical telescopes. 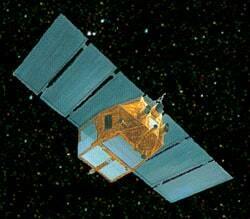 Finally in 1997, NASA launched the BeppoSAX telescope. It could pinpoint the direction of GRBs instantly and relay this to astronomers on the ground for immediate follow-up with optical telescopes. What they found was that GRBs did emit visible light for a very short time and that the trick to study them is rapid follow-up observations. Now, scientists did not only know where the bursts came from, they could actually see them. Since then, several satellites have been launched which are capable of alerting astronomers allowing them to immediately point telescopes towards the source of a GRB. These observations have led to a greater understanding of the origins of GRBs. They appear to be caused by the catastrophic self-destruction of stars at the end of their lifecycles. Longer duration GRBs seem to come from super massive stars when they reach the end of their life and collapse into a black hole. 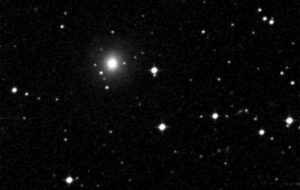 The shorter duration ones appear to be caused by the merging of two neutron stars – neutron stars are very old stars that compress into a very dense sphere with a radius of about 10 km. In both of these cases a large volume of matter that is propelled into space falls back. It is exactly this falling back of matter onto a black hole or neutron star that causes the GRB. If merging neutron stars are indeed the source of short duration GRBs, then this event should also be a source of gravitational waves. 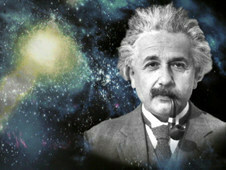 Albert Einstein first predicted gravitational waves in 1915 as part of his general theory of relativity. His theory describes space itself as a flexible, stretchy medium that can be deformed by the presence of matter. Very simply put, masses like stars and planets can create ripples in space, and we call them gravitational waves. Compare it to the ripples on a lake when a duck passes by. We are unable to detect most of these. Now imagine two ducks fighting on the lake, and how that would affect the ripples on the water. Similarly, gravitational waves created by huge cosmic events like the collision of two neutron stars, are big enough to be picked up on Earth with a very sensitive detector. The Laser Interferometer Gravitational-Wave Observatory (LIGO) was built to observe such events. LIGO was in the news recently as it first reached enough sensitivity to see gravitational waves in September 2015, and successfully observed three events that appeared to be the merging process of black holes. LIGO can tell by the pattern of the wave it observes what the mass of the two merging objects is. Before LIGO, it was not possible to detect the merging black holes, because ‘traditional’ telescopes observing the electromagnetic spectrum cannot pick up any signals from such an event. Merging neutron stars on the other hand should be detectible both by LIGO ànd telescopes. Aside from causing gravitational waves (remember the fighting ducks), the merging neutron stars kick up lots of material off their surface, which can produce energetic outbursts as this material crashes back down to the merged object. This material falling back down causes a GRB, which in turn can be observed through a telescope. Thus, astronomers had hoped that once LIGO was online, it would find a GRB simultaneously with a gravitational wave. Astronomers had to wait patiently for almost two years, but on August 17 2017, 12:41:04, LIGO observed a gravitational wave and 2 seconds later the Fermi Gamma-ray Space telescope observed a GRB from the same direction. Astronomers all across the globe pointed their telescope in this direction and spotted the visible evidence of a GRB in the galaxy NGC 4993 about 130 million light years away. Not only can we now confirm that neutron stars mergers are the source of GRBs, but the two seconds delay tells us that it only takes about two seconds for the matter kicked up to fall back down and cause a GRB. In addition to this twofold observation, GRBs are also predicted to be a source for high energy neutrinos. In the spirit of the massive follow-up campaigns that accompany GRB, astronomers at the Université Libre de Bruxelles were also alerted to this event and used the IceCube Neutrino telescope to see if neutrinos were produced in the GRB. Unfortunately, a combination GRB, gravitational wave and neutrino event may have been too much to ask for and no neutrinos were observed. Better luck next time!